This spacious King Suite has a private bedroom, separate living area, kitchenette and a private deck overlookiing the cactus garden. Guests will feel at home with two 32 in. 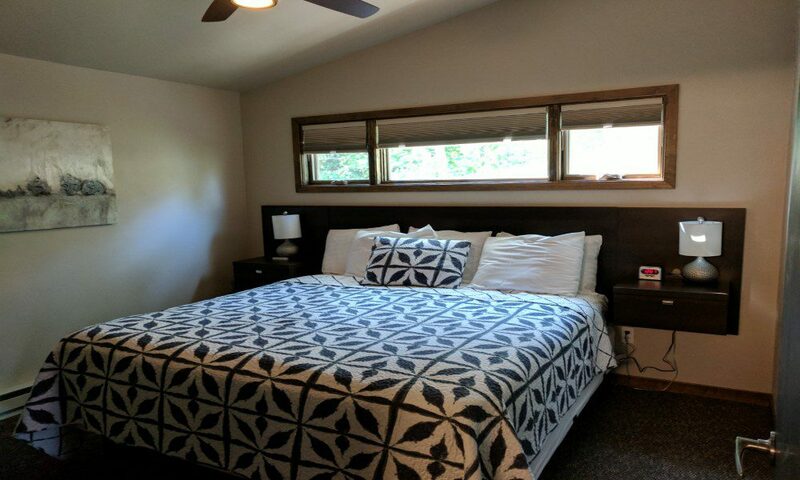 flat screen TV’s, Wi-Fi, DVD player, microwave, refrigerator, coffee maker, full tub-shower combo, hairdryer, dining area with 2 chairs, queen size sofa sleeper, and lounge chairs. Accommodates up to 4 people. 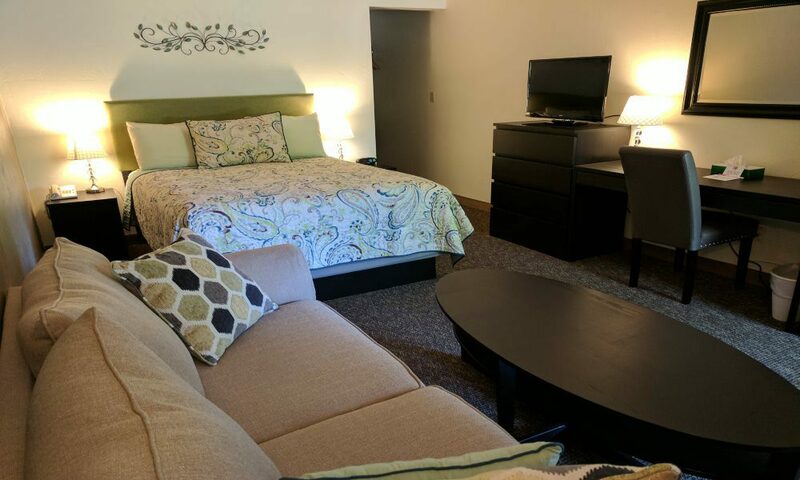 This spacious King room is a comfortable choice with a 32 inch flat screen TV, Wi-Fi, DVD player, microwave, refrigerator and coffee maker. Guests will feel at home with amenities such as full tub-shower combo, hairdryer, dining area with 2 chairs, lounge chair and alarm clock. Accommodates up to 2 people. 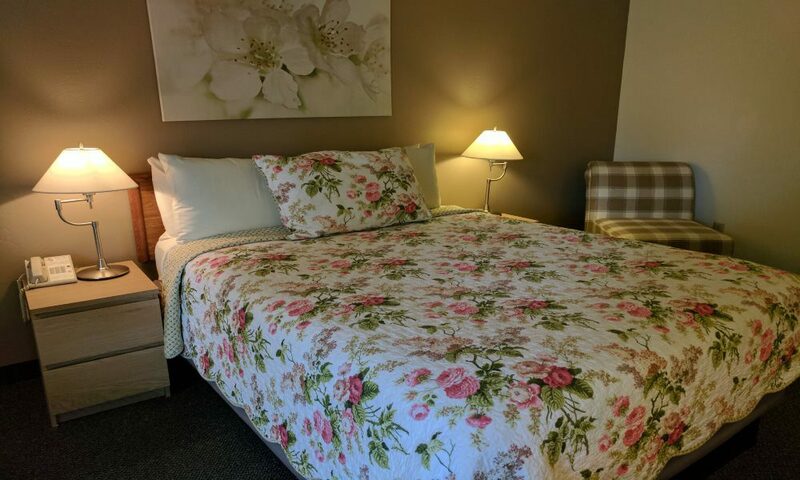 This spacious deluxe queen plus room is a comfortable choice with a 32 inch flat screen TV, Wi-Fi, DVD player, microwave, refrigerator and coffee maker. Guests will feel at home with amenities such as walk-in shower, hairdryer, desk, full size sleeper sofa and alarm clock. 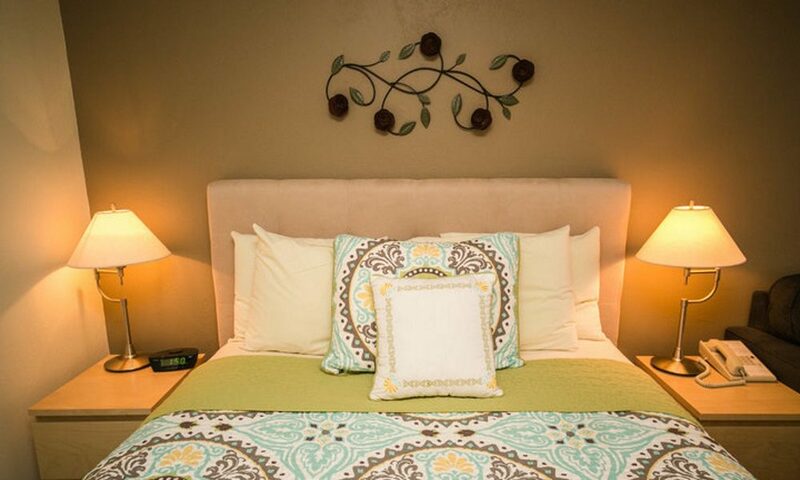 Accommodates up to 3 people. 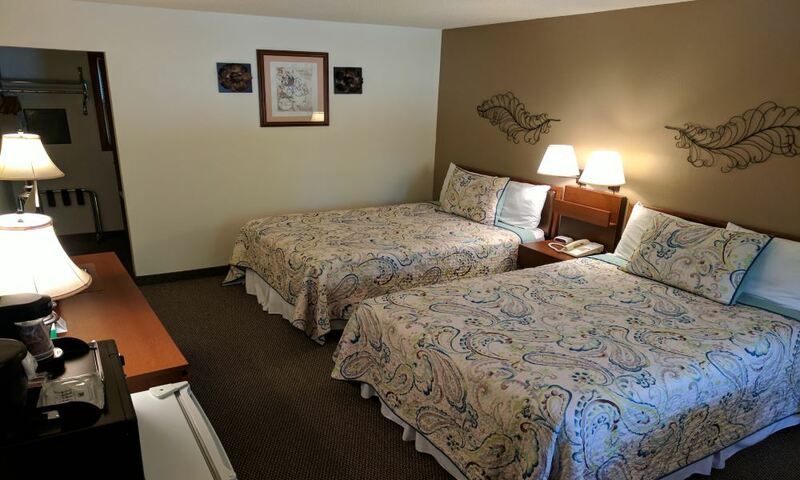 This spacious deluxe queen room is a comfortable choice with a 32 inch flat screen TV, Wi-Fi, DVD player, microwave, refrigerator and coffee maker. 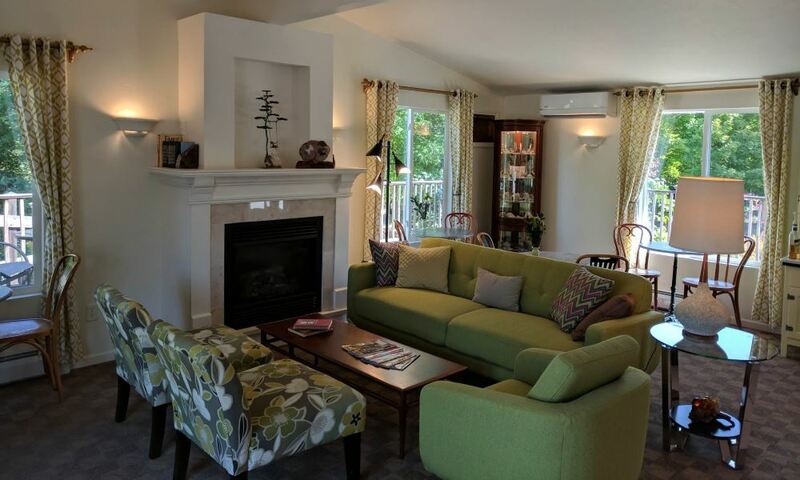 Guests will feel at home with amenities such as walk-in shower, hairdryer, desk, love seat and alarm clock. Accommodates up to 2 people. 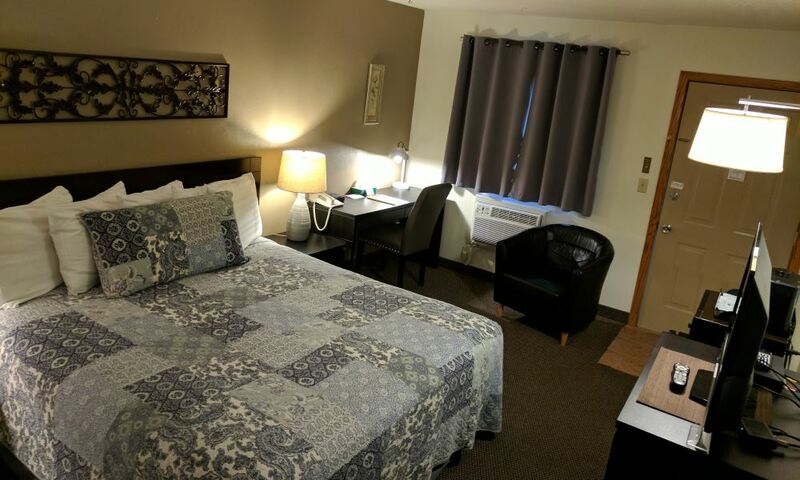 This spacious queen room is a comfortable choice with a 32 inch flat screen TV, Wi-Fi, microwave, refrigerator and coffee maker. Guests will feel at home with amenities such as full tub-shower combo, hairdryer, dining area with 2 chairs, lounge chair and an alarm clock. Accommodates up to 2 people. This spacious room with two double beds is a comfortable choice with a 32 inch flat screen TV, Wi-Fi, microwave, refrigerator and coffee maker. Guests will feel at home with amenities such as full tub-shower combo, hairdryer, dining area with 2 chairs and alarm clock. Accommodates up to 4 people.